At the Berkshire Soccer Academy girls come from all over the world to discover their greatness on and off the field. 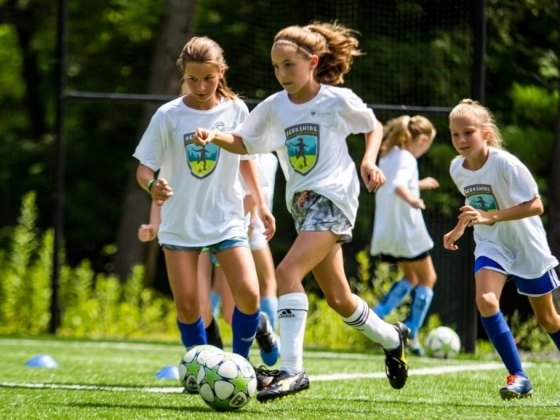 We combine world class soccer training with a friendly and inviting traditional camp setting. 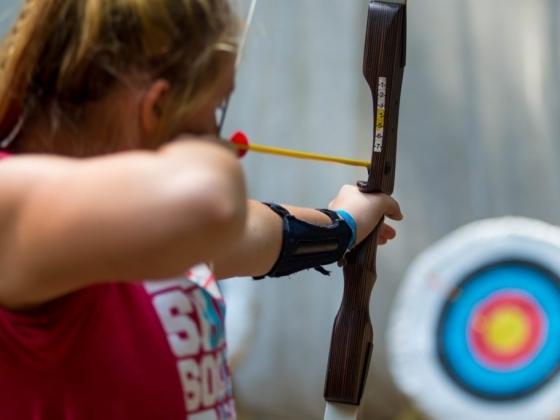 Campers come to Berky to develop as a whole player, build meaningful relationships with fellow campers and staff, and have fun. 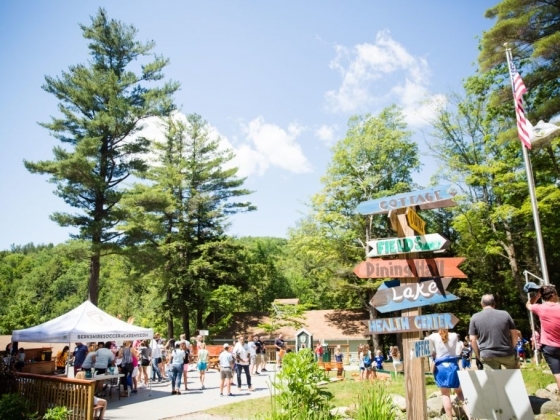 Campers and cabin counselors live comfortably in our renovated cabins, all equipped with air conditioning and located along our private, 20 acre lake. 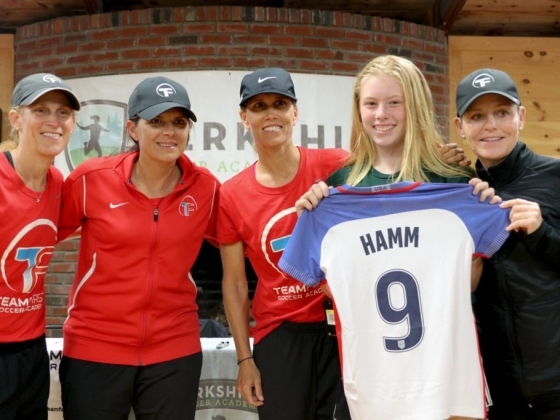 On a typical day, girls participate in 2 soccer training periods, 2 elective periods, and 1 evening activity. 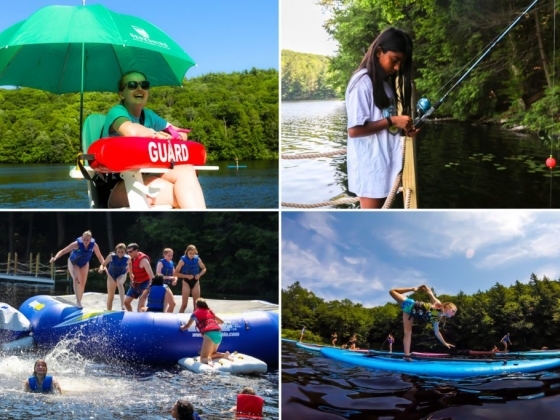 Elective options include lake activities- swimming, stand up paddle boarding, canoeing, fishing - as well as cooking, outdoor adventure, yoga, art and archery. 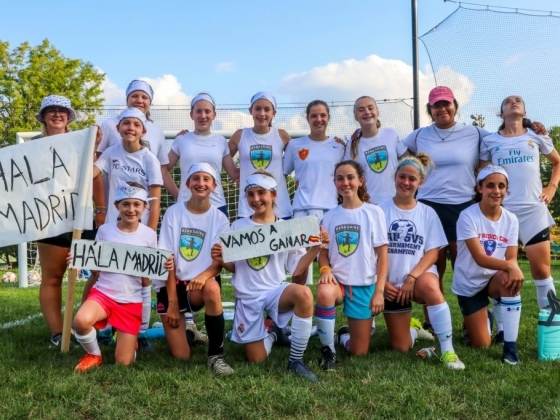 The unique combination of group living with young adult role models, high-level soccer instruction and relaxing and fun electives sets us apart. What we do off the field amplifies the learning and development on the field. 96% of our campers reported an improvement in their soccer after their stay at Berky. The goal of our soccer program is to meet every single player where she is and challenge her to work harder, faster, and with more precision on the ball—so that she develops and returns home to contribute to her team with more ability and passion. Athletes receive ongoing instruction and frequent feedback from the 20+ qualified coaches who are on the field at every session. Campers are placed into training groups, each having 30-40 players. Four to five coaches, led by a master coach, work with each training group. The safety and well being of our campers is our top priority. Our medical staff includes a Nurse, Assistant Nurses, and a certified Athletic Trainer. We also have a physician on-call. Our dining hall provides nutritious meals with plenty of options, including an ever changing selection of fresh fruit, salad bar, cereal, granola and hot buffet choices for each meal.